The debate over the future of architecture is becoming more and more public. It is impossible to avoid the fact that this debate has become polarised between those who can only see a future of an ever evolving, ever more convoluting Modernism and those who imagine a future taking its cue from traditional architecture of the past. What is perhaps not so obvious to many members of the public is that there are currently numerous architects world wide that work purely with traditional architectural forms and that these architects are gaining influence and more importantly major commissions. There is no unanimity of style amongst these present day traditionalists but a degree of categorisation is possible. One such category comprises those who follow a particular classical tradition – one that has continued to prosper over the last four centuries at various times in various places in the western world and in countries under western influence. This tradition owes its origin to the example of the work of Andrea Palladio (1508-80) an architect all of whose buildings were realised in the Venetian Republic in the second half of the sixteenth century. The “New Palladians” of the title of this ravishingly illustrated book are but the latest group to be drawn under the spell of Palladio. New Palladians is timely and immediate. It effortlessly makes the case that the forty eight current architectural practices from ten different countries that it shows have enough in common to suggest a distinct tendency. This is barely a movement, still less a school; it is more a natural response to the needs of contemporary architecture and the people its serves. This new Palladianism shows itself able to be a necessary supplanting of Modernism not simply a reaction to that failed and failing movement. The authors in their keynote text of this book, Modernity and Sustainability for the 21st Century, are not afraid to be polemical. Their criticisms of Modernism centre on its tendency to fragmentation and dislocation - not just in its architectural form but also in the pervasive influence it has on society and the environment at large. Of Modernists aesthetics, Steil writes“Despite incredible efforts of distortion and animation, collision, contrast and conflict. [Modernist buildings] remain boring and dull, confusing and alienating”. They remain “a complicated assemblage of hostile parts”. The authors make the case that the New Palladians have an antidote to all of these failings. Steil writes: "New Palladians can make a difference, by establishing a very firm, very uncompromising strategy on materials, on technologies and on issues of environment" and:"New Palladians refers to a moral category of people who very profoundly, actively do something to regenerate the meaning of architecture in the context of society, politics, landscape and durable development. ... Palladio is not at all their cult figure; rather he is a master, a colleague, and a tangible and real role model." Baroque, either in its European (Catholic) form or its English (Anglican) form. Palladianism can be seen as a way of eschewing the elaborations of the other three and of going back to the original classicism of antiquity for this is what Palladio consciously did in the villas he built and in the influential Four Books on Architecture that he wrote. In this way Palladianism can be seen as a purer classicism unfettered by the dynamics of late European culture in the ways that the others surely are. This, one imagines, is a primary aspect of Palladio that recommends him to the New Palladians. The New Palladianism may yet escape the Anglo-Saxon bias but historically Palladio has had little purchase on the continental imagination. He had no immediate followers even in Italy although arguably his influence there was dissipated into a classical late vernacular that can be seen throughout the Mediterranean. Palladio’s influence as a distinct style surfaces outside Italy in England in the early seventeenth century with the work of Inigo Jones. His patron, King Charles I, accepted the Palladian influence for a number of buildings but following the upheavals of the Civil War and the Commonwealth period the impetus was lost. With the Restoration in 1660 the repose and refinement of Palladianism was not appropriate to the political/religious fixing that was to be undertaken. For this the full-bloodedness of the Baroque, a style by then over a hundred old, was considered appropriate. Baroque had always served the needs of the Roman Catholic Church in promoting itself and it would be called to do the same for the Anglican Church, with its new head in the restored king, promoting iself against the myriad Calvinist and nonconformist groups that had recently come to the fore. Roman Baroque was adapted for English and Anglican needs by a few architects of genius - complete with a St Peter's derivative built right into the centre of the capital. This early sidelining of Palladianism is revealing of a quality intrinsic to it – it is at home in environments where there is little sense of conflict. As Sagharchi and Steil point out, it speaks to the humanist, settled, stable side of our nature and where it is built it confirms political and civic stability. But Palladianism is highly seductive and so this aspect of it can easily take us into isolation from worldly matters. I think it fair to say that the New Palladians are not too prone to this drift. Palladio’s villa commissions were all on the “terra firma” – the hinterland away from the lagoon on the Italian mainland under the City state of Venice. Although the natural landscape is hardly idyllic or even especially accommodating the vision created by Palladio’s architecture allowed an Arcadian dream to be suggested. The villas formed the foci of estates serving as living accommodation for the owner and for the functional apparatus of the worked lands around. This formula was repeated in the countries where historically Palladianism gained its strongest hold. Following the Constitutional Settlement of 1701 in England, Restoration Baroque went into decline and Palladianism could once again be taken up to reflect the new stability and power of the landowning class. Subsequently it would be exported for colonial estates. Palladianism transferred effortlessly to the New World and became such a powerful force that it was used for the new Presidential residence – the White House – although, by the time the federal legislature was finished on Capitol Hill in the late nineteenth century Baroque had been called in. But still Palladianism failed to find a home outside the Anglo-Saxon world for in continental Europe Baroque, Neo Classicism and Beaux Arts held sway. As I have said it may be that Palladianism is simply too polite to hold its own in the more turbulent context. It is notable that those areas of Europe that had a history of opposing directly the Muslim threat – Vienna, Sicily and Spain - adopted the richest Baroque . Perhaps by contrast pure Palladianism always needs something of an Arcadian tranquillity even isolation to thrive. Indeed, the pure Palladianism we know is largely an architecture for country homes, set in the landscape in a way broadly similar to those of the original Palladian models. Palladio himself (like the New Palladians) stops being Palladian when he builds in towns or cities. His work in Vicenza and Venice is heavily influenced by the Mannerism of Michelangelo that preceded it by some two decades. It is still brilliant but has little to do with the style he invented for his villas. Palladio could still be original in his Mannerist vein and his best and most original Mannerist work occurs on the facade of one of his churches in Venice, St Giorgio Maggiore, a design using interlocking porticos with no precedent and no subsequent imitators of note. The apparent historical dead end of Palladio’s urban Mannerism stands in stark contrast to the effect of his villa designs. Unlike the majority of his buildings in urban setting Palladio’s villas in the countryside are original in style and it is these buildings that result in the Palladianism that has had such resonance in the English speaking world. Although the earlier Renaissance architecture and the Baroque style that followed it were derived from ancient Roman precedents both of these sort to use the elements from antiquity without recreating the building types on which they were originally applied. On the face of it this is pretty sensible for the ancient precedents were mainly temples to gods that were part of a religion that no longer existed. What Palladio did in his villas was to refer to not just the style of the ancient temple but to the whole building. This he was well equiped to do for he had made a detailed study of ancient temples and one whole book of The Four Books was devoted to them. But his clients could not live in temples so he did something that one would imagine ought not to work aesthetically. He chopped off the one or two of the first bays of the temple behind the portico and then planted it onto the face of the villa or otherwise recessed the bays into the house leaving the end of the temple aligned with the façade of the house. [The Romans of course had done a similar thing with Pantheon of which more in a moment). Remarkably Palladio made this conceit work and he did this by simplifying the house behind the portico and making it conform to the discipline that the latter imposed. He allowed no other smaller secondary orders (as Mannerism would), he permitted no split or segmental pediments (as Baroque would) and he ensured that the roofline of the portico was tied into the main building either by making the roofs the same height or by making the portico roof run into a strong cornice at attic floor level. The effect was to give the building a Greek freshness and purity unknown in developments on the west of the Italian peninsula. This Greek influence may well be attributable to the fact that the Venetian Republic had a rich trading contact and dominance in the eastern Mediterranean and so Greek precedents would be naturally more familiar to one of its citizens. Palladio was thus able to be faithful to the ancient sources of his architecture even if to do so he had had to truncate unnaturally an ancient building type. The point was that the remaining fragment was intact in itself even if it now played only an emblematic role being largely functionally redundant. However, in importing a reminder of this ancient building type wholesale, in order to fully render the beauty and harmony of the style, there was a further consequence. The wholesale importing creates an unavoidable reference to the original function of the building. Palladian villas are modest enough to appear domestic but the grand portico imbues them with a further aspect that is central to their aesthetic power and takes their symbolism beyond the domestic. What then was the original function of the ancient temple? The vital point in understanding this is that they served polytheistic religions, whether Greek or Roman. Each temple represented the locale of a particular god. This idea by contrast is quite alien to buildings serving monotheistic, non-idolatrous religions which by definition do not locate their god in a particular place. Thus the Western Christian cathedral expresses the omnipresence of god who can manifest himself in the light and overall tapestry of the place. The interior of an Eastern Christian church directs attention to the icons within it and these refer to a universal sense of spirituality. The mosque is not even a sacred place but simply orients believers to a place that is sacred. A temple of Greece or Rome serves to locate its particular deity and the main public ceremonies and rituals occur outside - not inside as with monotheisms. The function of the temple is thus much simpler than a church or a mosque and the built form is correspondingly pared down. It takes the form of a cabane, in French – a simple hut or shelter *. It is an elaborate shelter to be sure and built on a giant scale, and it is the elaboration and scale that enables it to be read as the locale of a deity. So when Palladio imported the temple form (albeit as a fragment) was he importing also reverence for an ancient god? Not really. The point is that outside its original cultural environment, whilst the mechanism of the architectural rhetoric still operates, the reference is changed. The Romans understood this when they built the Pantheon for there they imported a truncated temple form much as Palladio was to do. The temple form enables the Pantheon to serve the purpose of being a locale but instead of being a locale for a god it becomes a locale for imperial temporal power. Note this is more than being a shrine for a shrine does not make this power fully present. The idea of a locale is to make visceral your apprehension of its custodian. This flexibility concerning the custodian of the locale has meant that the temple form has endured in western culture as a means of giving authority and weight to all manner of institutions. The court house, the museum, the seat of government, the theatre, the bank have all embraced the classical realisation of the locale of a deity to suggest real presence of a significant ideal. This ideal is no longer a member of a divine panoply but a secular value that we wish to give architectural expression to; justice, art, government, pleasure, money. The clever adaptation of this ancient vocabulary of the locale enables these ideals to be palpably expressed and felt in the civic environment. These modern examples may, as likely as not, be of Baroque, Neo Classical or Beaux Arts styles. They may also be Palladian and they were Palladian first. Modern traditionalism is often represented as a return to humanism. This means in a simple sense the fostering and rediscovering of human values. Traditional architects seek to get in contact with those values by imbuing their buildings with qualities of universal appeal. This means above all a quest for what humans find beautiful. This endeavour was consciously jettisoned by Modernist architects who put in its place criteria for design that depended on abstraction and subversion. The word “inhuman” is almost synonymous with Modernist environments. This aspect of Palladio throws into interesting relief the contribution by David Watkin on the less well known writings of Palladio. From these we learn that Palladio “sought to reconcile ancient virtue with Christian virtue” – a solid Renaissance humanist viewpoint that we would expect. Rather unexpected is Palladio’s admiration for Julius Caesar seeing his reign as “a golden age of Roman history”. Quite how this admiration for the imperial age of ancient Rome went down in the ruling circles in the Venetian Republic, which saw itself with some justification as the true inheritor and maintainer of the values of the Roman Republic that Julius Caesar destroyed, we can only guess at, but Palladio’s admiration for the individualist power of Caesar seems on the face of it to be at odds with his humanism - not to mention the health of his career. Palladio’s tendency to see the world in terms of great individual is expanded by Watkin ’s account of his admiration for the “warrior prince”, Emanuele Filiberto, Duke of Savoy, whom Palladio described as “a prince who alone in our times most resembles those ancient Roman heroes in wisdom and courage”. Watkin explains that the humanist education that Palladio received in Vicenza involved military training. That this should be the case refers us to the fact that The Four Books were published in 1570 a period of heightened tension for “la Serenissima” as it was only one year before one of the most terrifying and decisive battles of modern times in which 37,000 died - the great sea battle of Lepanto. In the event Venice and her allies practically destroyed the Ottoman navy and the threat it posed and secured the eastern Mediterranean for Venetian trade, but the outcome of the conflict was far from a foregone conclusion at the time that Palladio was writing his masterpiece and the trauma of it must have been great. I have suggested Palladianism is not usually the answer when nerves have to be steadied but perhaps this was the exception. In another interesting essay that sheds light on the historical context within which Palladio worked, Matthew Hardy reviews the effects of contemporary views on health and hygiene on the design of Palladio’s villas and in doing so reminds us that the elegance of Palladio’s interiors was in part founded on health considerations. Siting also was important and in this respect Palladio counsels selecting an elevated site, where “the earth, by its declivity, [is] purged of ill vapours and moisture … the inhabitants are healthy and cheerful, and preserve a good colour, and are not molested by gnats and other small animals, which are generated by the putrefaction of still fenny waters.” Like much of Palladio’s practical advice that holds true today. In surveying the range of architects featured in New Palladians we might at first question in what sense some of them can be considered Palladian. Palladianism has come to mean the original style that Palladio used for his country estate villas with their plain elegant designs enlivened by a scholarly central portico. As I have suggested the portico is a powerful statement that requires judicious handling but then many of the buildings included here do not have this element. I think what we need in the narrative of Palladianism is more emphasis on the trickle down effect that is part of its influence and of the classical style in general and Stiel hints at this when he writes "Palladio offers a vital foundation, a new platform for an evolutionary process of tradition and Classicism that integrates intelligently the vernacular and the classical". A number of the British architects featured would immediately attract the description as Georgian rather than Palladian and I think in this is the clue to how these buildings satisfy the requirements concerning environment, urbanism and localism that the authors claim for them. Georgian would not rank amongst the four classical styles of Baroque, Neo Classical, Beaux Arts and Palladian that I mentioned before. One reason for this is that it is not a universalist style as they are. It only makes sense within the English (or maybe British) context. I would describe Georgian not as a classical style but as a Late Vernacular or Classical Vernacular style. Georgian is what happened to more mundane architecture after the influence of Palladio (and others but possibly mainly Palladio) had washed down from grander projects. It can be seen as classicism diffused and disseminated in street, town, city and house. Its most identifiable feature is the sash window. But where is the classical source of that? 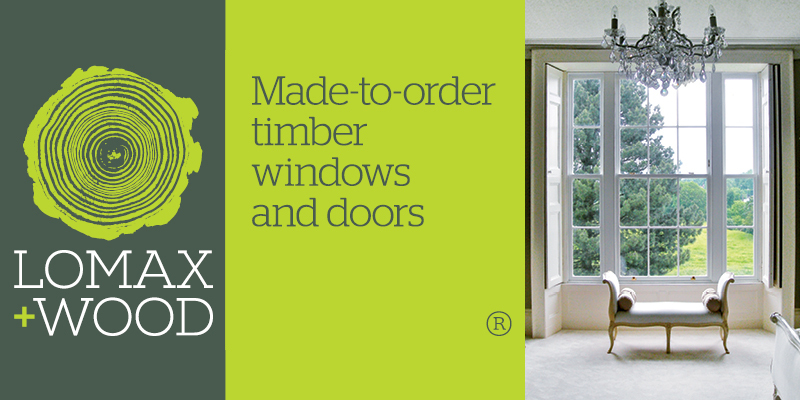 In reality the sash window is a practical and elegant solution to fenestration in a climate with little strong sunlight, but prone to endless showers, using the larger sheets of glass that had recently become available. In other words it is tied to climate and technology as vernacular solutions are. That is the sense in which Georgian can be described as Late Vernacular. It is this kind of diffused vernacular classicism or Palladianism that informs the designs of many of the architects included in New Palladians. It applies equally to those architects outside of Britain for other countries have their Classical and Late Vernaculars too. And it is surely a desirable and respectable lineage for the master’s work to have acquired. Crucially for the message imparted by this book it enables the arguments that Palladianism provides a contemporary solution to the problems of environment, urbanism and regionalism to be more powerfully made. And it provides an answer to a problem for the Palladian style that is not discussed here – that of democratisation. One of the most difficult questions for New Palladians, or any Palladians, to confront Is that theirs is an architecture for buildings of pretension. Late Vernacular shows how the Palladian vocabulary can transfer to modest buildings. This is the route whereby the Palladian inspiration can be successfully democratised and indeed many New Palladians show the way in this. The marrying of High Palladianism with the inescapable needs of democracy may not be possible but Late Vernacular Low Palladianism has in the past been more than up to the task and so it is with many of the buildings by New Palladians illustrated in this book. Palladianism as it has come down to us is a pure style. It is notable that we have New Palladians but no Neo Palladians and this is surely because the respect for the canon and the texts of Palladio is so great that no one would presume to adapt or modify them. Someone said, not unreasonably, that the Classical orders originally emanated from god. If this is so then Palladio may be (in the Islamic sense of messenger rather than the Old Testament sense of seer) his prophet. A pure style will attract purists. A few of the New Palladian buildings in this book are pure Palladianism but not many. Palladio himself as I have indicated was not a purist and some of his most enjoyable work was not “Palladian” at all but Mannerist. He clearly found it an easy step to take and we should not overlook his Mannerist buildings which are wholly part of his oeuvre. Mannerism he considered appropriate for town and city and I would gently suggest that maybe we should too. Palladians, new or otherwise, are unlikely to do Baroque, the predominant urban style in many European cities, for it is probably alien to their sensibility. There is an excellent English precedent for a revived Mannerism in the work of Belcher and Joass who stood out against the overwhelming force of Edwardian Baroque (in another period of insecurity). And the most original and outstanding (if not necessarily the best) twentieth century classicist, Jože Plečnik, was nothing if not Mannerist. This may be a direction that the New Palladians will want to explore further and in Alireza Saghchi’s Bidda Villa and Robert Adam's Piccadilly building it appears they have already begun. New Palladians wholly achieves a stated goal of wresting the claim on the word modernity from Modernist architects. In doing so it establishes these architects as some of the most important currently practising. The exclusivity of the Modernists’ claim on modernity rests on the fact that they alone made a cult out of modernity. But this claim is as insecure as the Futurists’ claim to monopolise the future on the basis that they constructed a cult of the future. New Palladians is now the essential up to date guide to a primary aspect of traditional architecture. A book called L’Architecture Moderne Classique by Andrea Papadakis was published in Paris in 1996 and is somewhat similar to New Palladians in format and content although it does not have the same depth and of course is now considerably out of date. It features some of the same architects. The point is the expression Modern Classicism seems wholly natural and uncomplicated. The New Palladians might also be described as Modern Traditionalists or Modern Classicists – albeit often with a bias towards Late Classical Vernacular and a special reverence for the excellence of the Master. Thank you so much for this extraordinary article with so much depth and insight! I am so humbled to read this and honoured by the attention given to our book. A very insightful and interesting article which explores the further aspects of the New Palladian movement beyond the confines of the book. Your comments about the book are so insightful, it was a delight to read your commentary. I agree with the post above and I will find more information. Very interesting article. Takles the apparent discrepancy of how it is possible to be traditional and modern at the same time.